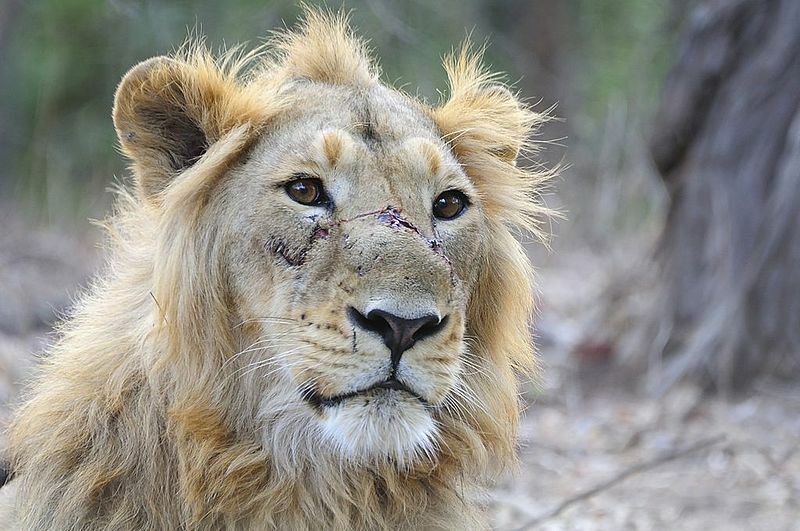 English: Male Asiatic Lion spotted at the Gir Sanctuary and National Park. Driving through the forest not far from the exit this male lion just popped out of the bushes and accompanied our vehicle for about a kilometer. Impressive, but obviously after a recent fight. The scar was apparently quite recent. current 04:35, 6 December 2014 1,920 × 1,275 (1.53 MB) Ras67 Reverted to version as of 08:41, 7 July 2011, this work violates Com:Overwrite!